Assembly begins on the community-voted Battlecast Illaoi skin. 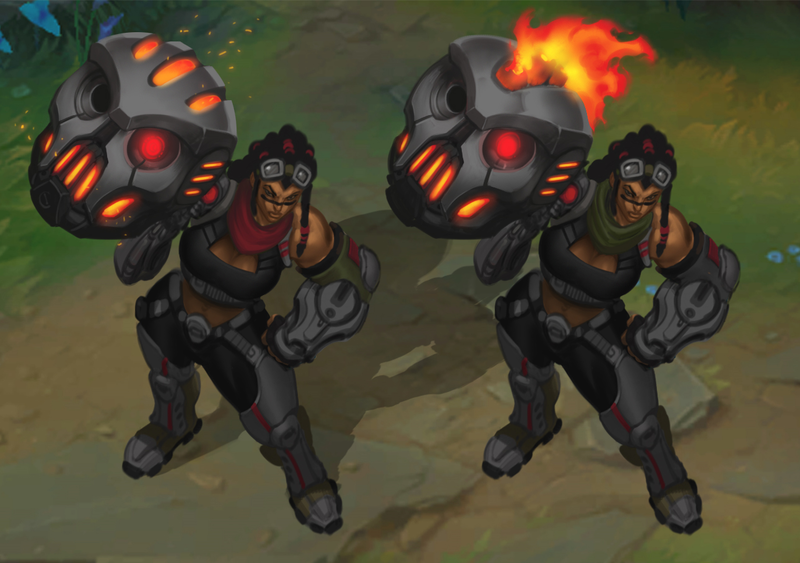 With the vote closed and the winner announced, it’s time to start locking down the complete concept for the next Illaoi skin, Battlecast Illaoi (name TBD). 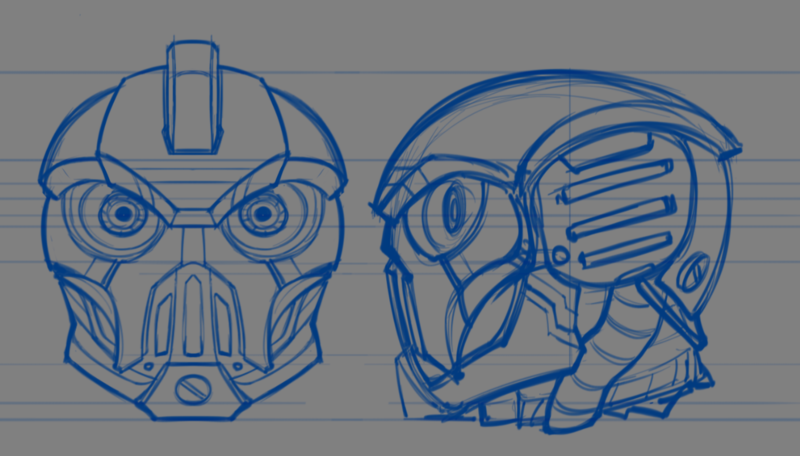 But before we can finalize the concept, we first need to work out some details about the theme. Battlecast uses a lot of metal and tech, but it’s grimy and imperfect. Contrast this with something like PROJECT, which is sleek/shiny, or with Program, which is more digital/cyber. Battlecast is sci-fi, but the tech isn’t as advanced or clean as some of those other universes, so it’s got a retro, dirty sci-fi feel to it. Additionally, we have to nail down what makes Illaoi special in this world. She’s not a machine—she’s an organic rebelling against the machines. How does that change how we approach the skin? Creator Viktor’s machines destroy and hunt humans in this war-torn world. But his plan quickly runs into a problem. Viktor attempts to assimilate Illaoi, but she proves too strong. 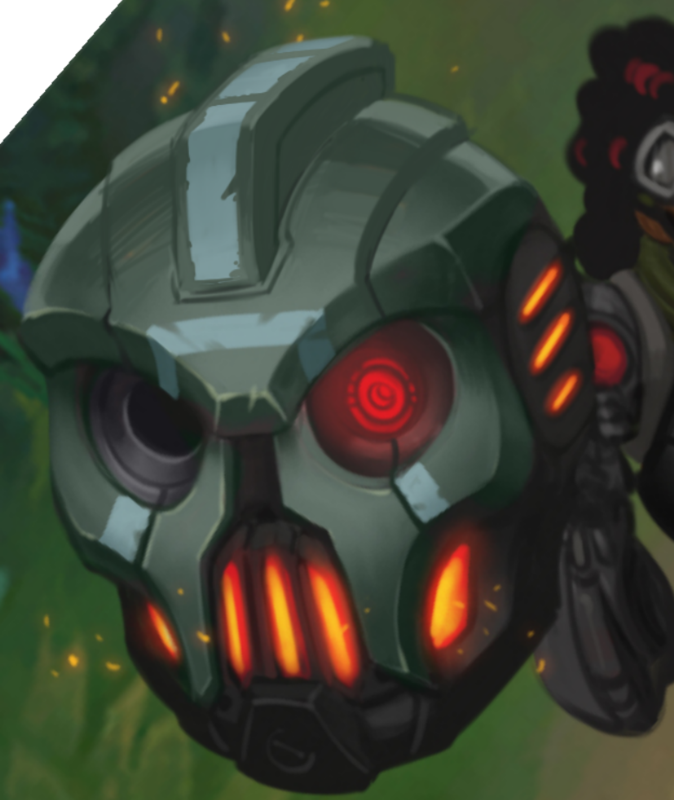 Illaoi breaks free from her bonds and, armed with only her new robotic arm, she tears the head from the giant mechanized guard and carries it with her. She quickly learns that the components implanted in her allow her to interface with Viktor’s machines and central computer system. Hacking into it, she is able to escape to relative safety, where she starts planning her resistance. There was lots of debate over Illaoi's outfit. In the end, we looked for a solution that balanced the concept that players voted on and what might make more sense for Illaoi as a character. 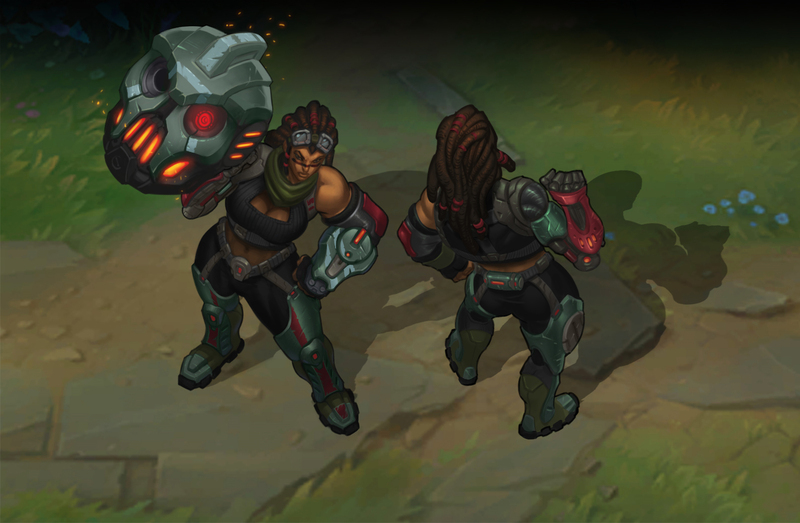 Now it’s up to us to use the model, visual effects, animations, and sound effects to make Illaoi the most badass resistance fighter the machines will ever face. *It’s worth noting that a lot of times, these napkin-written stories are used more for inspiration than they are as lore, and sometimes they change or are never overtly confirmed or spoken. Illaoi’s tentacles are her defining feature, so nailing these is vital to the success of the skin. 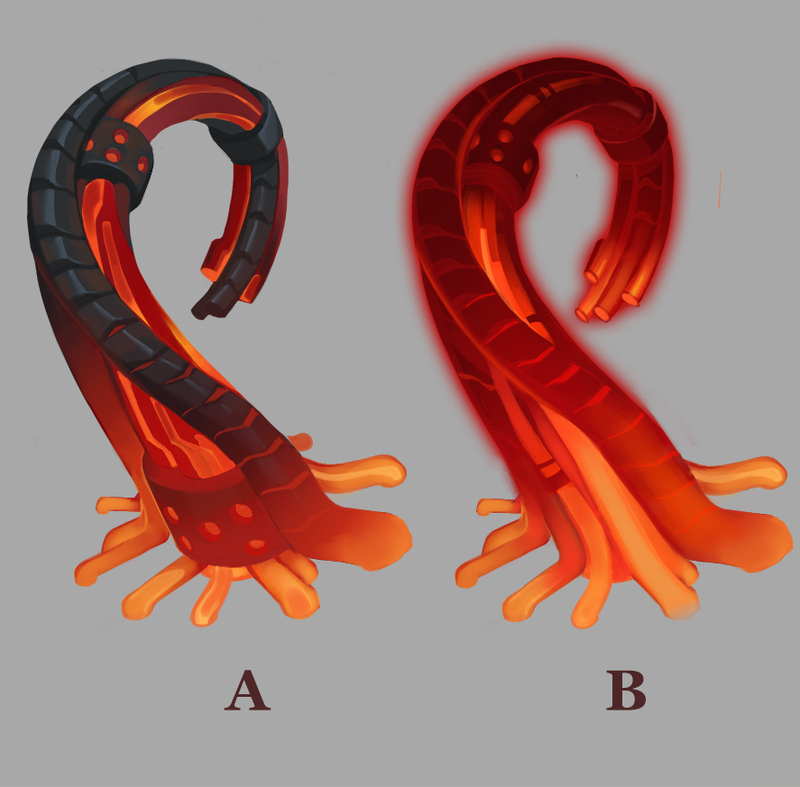 We had the mech-hand in our early concepts, but got some feedback from the gameplay team that the idea of a “hand-tentacle” was going to be an issue. The hand concept was pretty popular when we put out the vote; making a change of this magnitude isn’t something we take lightly. Unfortunately, it’s part of the development process that a lot of interesting ideas get left on the cutting room floor—even stuff we love. 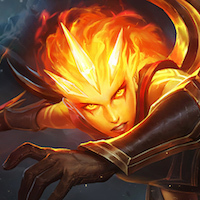 Gameplay gave us some insight into their reasoning, though: During Illaoi’s development, the champ team tried a few different tentacles for her and learned that solid or opaque tentacles made teamfighting a nightmare. Illaoi would ult and no one could see what was happening because of all the tentacles flopping around. It can already be difficult keeping track of everything during a teamfight, and transparent robo-hands kind of don’t make sense, so we weighed our options and decided to keep exploring. We all learned what “Trypophobia” is with concept B when a Rioter called it out. The more solid metal tentacles suffer from the same issue as the robo-hands: no transparency. One idea was to have the tentacles be solid when idling, but more ethereal when attacking, that way we could give them the solid look we wanted without the included gameplay issues. But when we looked into that approach, we realized it would require completely reanimating the tentacles. We like the idea, but the animation concerns are enough to make us keep looking. The glowing red look is a key element of Battlecast technology, and these new tentacles are capturing that well. We aren’t as concerned with these cluttering the game because they will be mostly ethereal, while hopefully still feeling solid and appropriate for Battlecast. We think the base needs the most work from here (figuring out where Illaoi’s tentacles come from is one big challenge in designing visuals for her). Going back to our original concepting story: Once Illaoi has decapitated her robotic guard, she uses its dismembered head to fly to safety. Alright… but what EXACTLY does that look like? We’re looking at her totem as not only a weapon, but a remote control for the machines and her main mode of transport. A flaming skull probably doesn’t fit this well. A little totem flambé maybe? This is the 90% final look for her. Through development, we will need to make tweaks and adjustments, but this is pretty close. Now that we have the concepts close to finished, we’ll be figuring out how to take Illaoi’s kit into the Battlecast Universe.